Music for Four Stringed Instruments was composed in 1917 at the height of the First World War and was dedicated to the memory of Victor Chapman, the son of a close friend and the first American airman killed in the conflict. 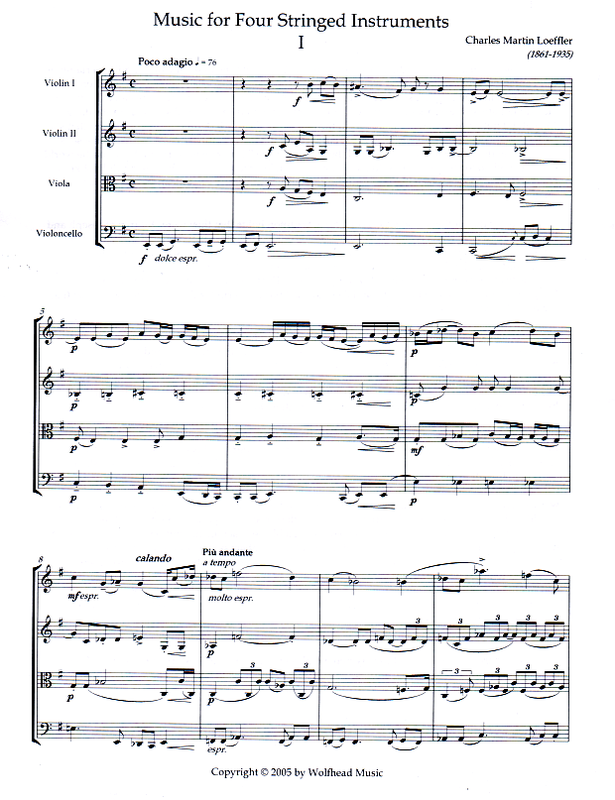 Plainchant is used decisively in the structure of the work, the Resurrexi figuring prominently throughout the quartet. 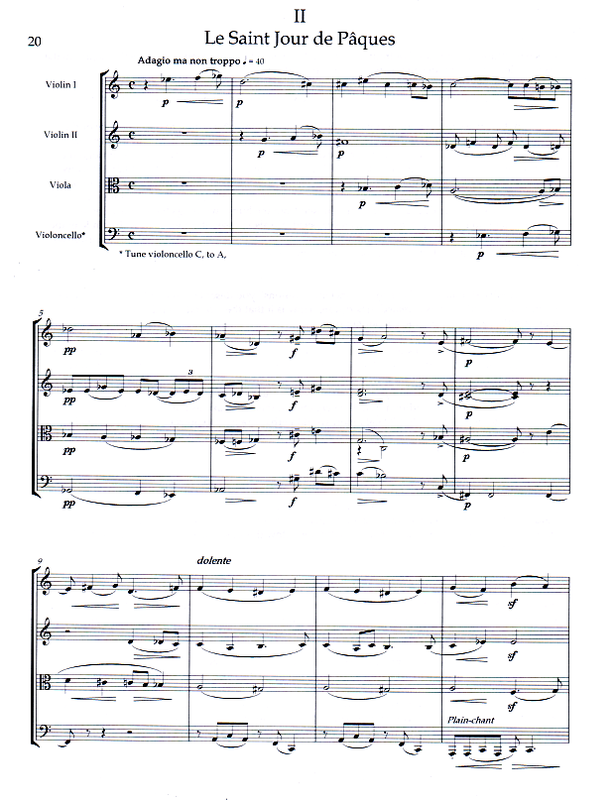 The Resurrexi becomes a secondary motif to the Victimae paschali in the second movement (subtitled Easter Sunday) but regains preeminence in the climactic third movement to affirm spiritual victory over earthly sorrow. A Lorraine march tune also appears briefly in the third movement, which is highly programmatic. Largely Impressionistic, the quartet also is infused with rich Romantic harmonies that reveal a cosmopolitan approach to compositional structure. 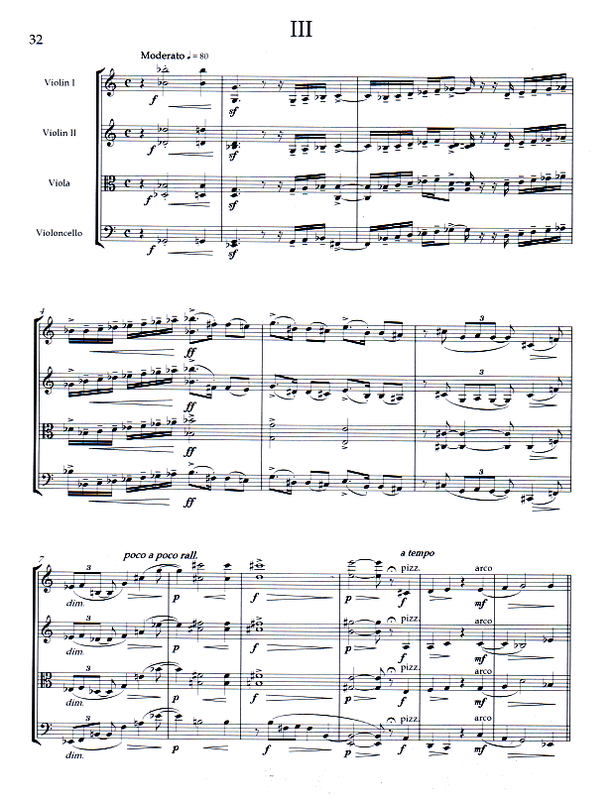 Click to hear excerpts performed by the DaVinci Quartet on Naxos CD 8.559077.